What Are The Best Senior Horse Supplements On The Market In 2019? What Are The Best Senior Horse Supplements On The Market? Our four legged friends are a part of the family, there’s no doubt about that. And while you wouldn’t suddenly give up on Aunt Martha because she got old and past it, you certainly wouldn’t give up on your horse either! There are a great many supplements you can give to your old timer to keep them as fit and healthy as possible, to help keep joints supple and mobile and to make the digestion as comfortable as it can be. 2.1 1. Why do older horses need supplements? 2.2 2. How can you supplement an older horses diet? 2.3 3. Don’t young, active horses need more supplementation than older horses? 2.4 4. How can you provide the extra nutrition an older horse needs? 2.5 5. What should an ideal senior equine supplements include? 2.6 6. How can you make it easier for your horse to access the nutrition in his feed? 2.7 7. Should older horses have sweet feed? 2.8 8. Is glucosamine helpful in dealing with arthritis symptoms in older horses? 2.9 9. What’s the surest way to supplement an older horses diet? 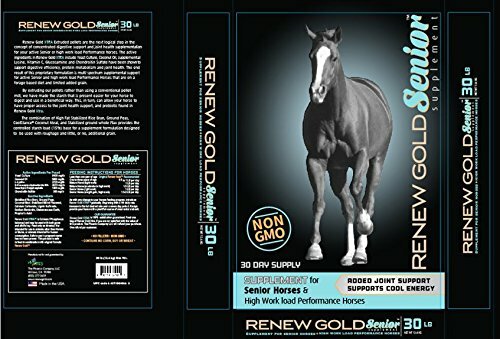 This is a fantastic, non GMO supplement that is carefully designed with the needs of the older horse in mind. It can produce astonishing results in a very short space of time, bringing new life to your old horse. Easy to digest – The extruded pellets are easier for the body to process, meaning that more of the good stuff will be getting to where it needs to go for best results faster. Added joint support – For those old, stiff bones that need a little more than they used to, this supplement contains Glucosamine and Chondroitin Sulfate. Contains Vitamin C and Omega 3 – Vitamin C is one of the body’s most important defence mechanisms. It can help fight off infection and keep the cogs running smoothly, while Omega 3s are widely credited with great all round health. 30 day supply – You won’t have to worry too much about your bank balance, as this supplement will keep you going for at least a month. Small packaging – About the only downside to this product is that 30lbs may not be sufficient for every horse owner. Personally I would like to see a slightly larger sizing. If you are looking for a great supplement that can make your friend feel 10 years younger, put weight on where it’s needed and improve the topline as well as the coat, this is the supplement for you. A nutritional supplement to help with flexibility and maintaining a good weight, this one contains probiotics that can greatly help the reduced digestive function in older horses. It’s tasty and palatable too, meaning that even those with a reduced appetite should get stuck in. Comes in an alfalfa powder base – This is extremely palatable to most horses, and means that you can be sure that they will eat it and therefore take on board all the nutritional benefits. Can reduce the need for painkillers – Using this supplement can support the joints in a way that means they won’t be as painful or inflamed as they were before, so you won’t have to dose your horse up on Bute for the rest of time. Improves the coat – As an all round indicator of general health, having a good coat is paramount. This supplement will make them shine, so you can see it is doing them good from the inside out. Comes in a huge supply – Offering a 256 day supply, this supplement is an investment for your old friend. Spending a bit more money on it won’t seem so painful when you realise it will last for nearly a year! High price – The price for the 16lbs product is on a high side compared to some other supplements on the market (at the time of this review). Acti Flex Senior Powder is a smart choice if you are looking for a good supply of a decent supplement that will last, and will offer good protection for your horse’s coat and hooves. This supplement is great for weight gain, hoof condition and coat. It is designed with the older horse in mind, to give them a bit more oomf! Made from flax seed, rice bran and vegetable oil as well as the added extras, this supplement can do nothing but good. Contains prebiotics – Did you knw there was a prebiotic as well as a probiotic? The prebiotic is great for supporting the autoimmune system as well as overall health. High fat and fibre formula – This can help control blood sugar levels, as the starch and sugar content is controlled. Contains vitamin E – One of the go-to vitamins for skin, the vitamin E in this supplement will help your best friend’s skin and coat no end. Good for maintaining a healthy weight – Older horses tend to drop weight very quickly due to the reduced gut performance. This supplement can help them keep it on, meaning that they are more robust and better able to withstand infections, health issues and winters. Cannot be shipped out of the US – If you live elsewhere in the world, you will have to find another supplier of this product. A great supplement for maintaining weight, and hoof condition, in the older horse. This is a relatively inexpensive product that can boost your horse for years to come! There is no price to great to pay for the knowledge of having your horse being as well as he possibly can be. 1. Why do older horses need supplements? Just like people, when horses become older their bodies experience a great deal of change. Metabolism may change, digestion may become less effective and/or teeth may become too worn or even fall out. Older horses are prone to developing a number of old age conditions such as failing kidneys, insulin resistance, Cushing’s disease and/or impaired liver function. 2. How can you supplement an older horses diet? 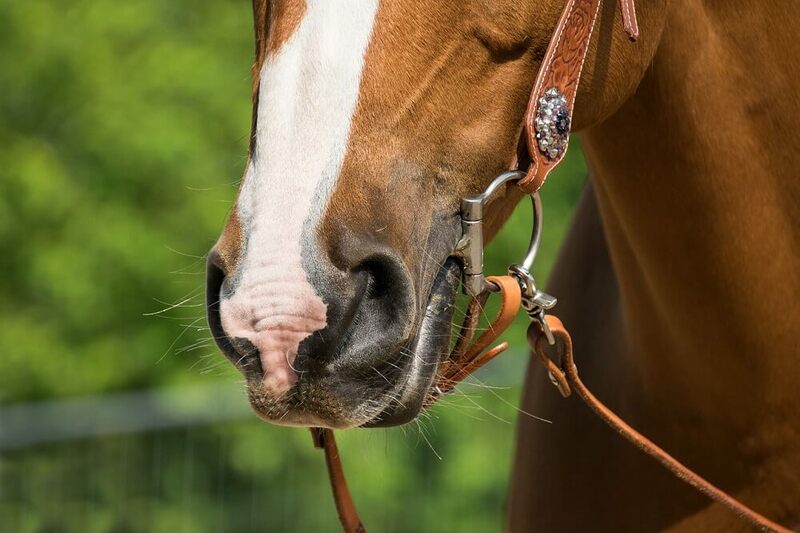 Although you might think that just feeding the horse more of what it’s been used to would be the best thing to do, this is very often not the case. Older horses need more fiber, more concentrated calories and more vitamins and minerals. An older horse is often better off with a diet that consists mostly of hay, a specialized, balanced senior equine feed and vitamin and mineral supplementation. 3. Don’t young, active horses need more supplementation than older horses? Actually, an older horse’s nutritional requirements are very much like those of a young and growing horse. As horses age the efficiency of their digestive tract may become compromised and they may lose weight because their bodies begin using muscle tissue instead of fat or calories eaten. This is a catabolic state. It’s important to provide more nutrition in an easily absorbed form. 4. How can you provide the extra nutrition an older horse needs? Don’t neglect forage. It’s often better for an older horse to have larger amounts of a lower quality hay than just a couple of flakes of high quality hay a day. Horses with dental problems may need pelleted forage such as beet pulp and/or alfalfa or timothy pellets or cubes. 5. What should an ideal senior equine supplements include? A supplement that includes a generous amount of omega-3 fatty acids is desirable. Look for a good flax oil blend as this will help boost your horse’s immune response and act as an anti-inflammatory. This is very helpful against problems caused by arthritis, gut inflammation and many other problems associated with equine aging. 6. How can you make it easier for your horse to access the nutrition in his feed? Microbials that help with digestion (Lactobacillus and yeast) will help your horse make the most of the nutrition he’s receiving. Vitamin C and vitamin E are powerful antioxidants that can help keep your horse strong and healthy. 7. Should older horses have sweet feed? Actually, no horses should have sweet feed. Avoid starches and sugars just as we do as humans. Horses that eat sweet, sugary, starchy feeds tend to develop more problems as they age. To prevent having problems with the horse in its old age, it’s best to feed it a healthy, high fiber, low starch, low sugar diet throughout its life. 8. Is glucosamine helpful in dealing with arthritis symptoms in older horses? Maybe. Be very careful about giving glucosamine because (as the name indicates) it contains glucose. Talk with your vet and follow his or her recommendations regarding this supplement. 9. What’s the surest way to supplement an older horses diet? Talk with your vet about choosing an all-inclusive senior diet. One example is a product called Triple Crown Safe Starch. This is an all in one complete ration that comes in the form of a wrapped bale. It is made up of easy to chew chopped forage and prepared pellets that contain all of the vitamins, minerals and protein a senior horse needs. Be sure to follow the package instructions closely to give your horse the right amount of complete feed. If you are looking for something to put a spring in the step of your older horse, the look no further than a good supplement to their feed to help them feel their best. If you want a great supplement that contains no GMO ingredients and that can support your older friend, go for Manna Pro 1030167 Senior Equine Supplement. 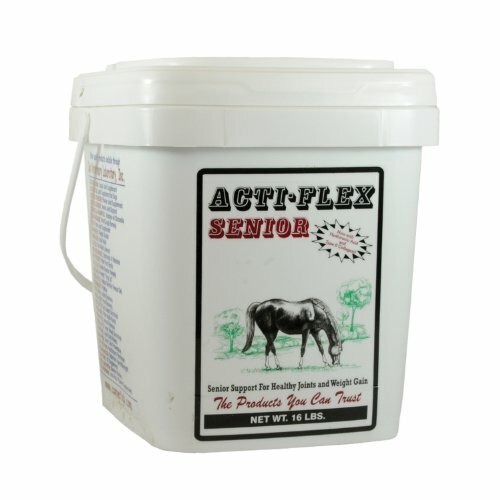 If you are looking for a good supply of a decent supplement that will last ages, and will offer good gut protection as well as improving the coat and hooves, opt for Acti Flex Senior Powder. 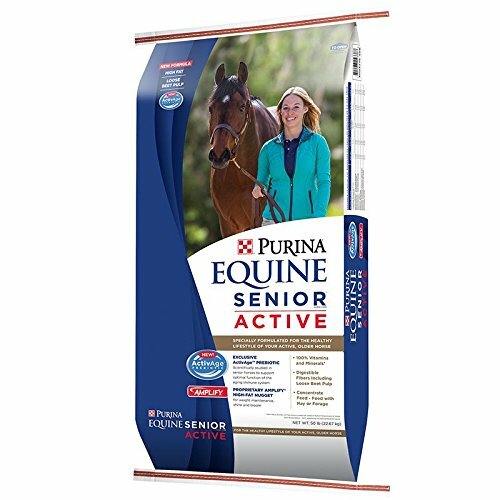 If your older four legged friend is looking for an immune-supporting supplement that will also help good weight gain, choose Purina Mills Equine Senior Active. Keep those legs limber! As your horse gets older, I am sure there are a few more creeks and groans throughout the day. Being able to have an option like these if you want to supplement their health is really great!